Sheema Kalbasi, Author at sister-hood magazine. A Fuuse production by Deeyah Khan. Sheema Kalbasi was born on November 20, 1972 in Tehran, Iran and grew up in Pakistan and Denmark. She is a poet and writer on issues of feminism, war, refugees, human rights, a filmmaker on women’s issues, Sharia Law, freedom of expression and an activist for social justice, women’s rights, minorities’ rights, children’s rights, human rights and refugees’ rights. Her poems have been anthologized and translated into more than 20 languages. 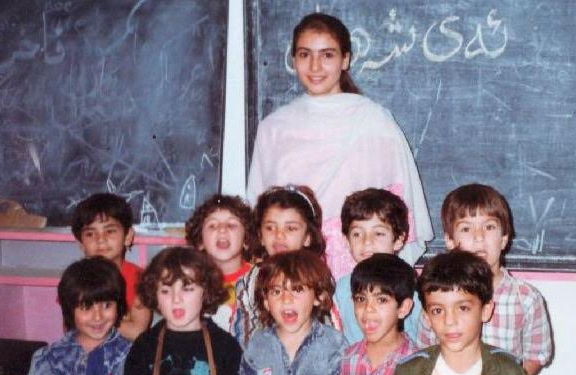 She has done voluntary teaching and tutoring of Baha'i refugee children, disadvantaged Pakistani children as well as Iraqi Kurdish children in Pakistan. Kalbasi has worked for the UNHCR and the Center for Refugees in Pakistan, and UNA Denmark. She was recognized for her humanitarian works in 1990s in Pakistan. Sheema is founder and president of Reel Content. She lives in the United States.